You’ll occasionally run into an error when installing software on Windows. The installer may refuse to run, report an error code, say it’s unable to write to a folder, or even silently fail. You’ll need to troubleshoot the problem so you can install software normally. Most Windows software needs to be installed with administrator privileges. Thanks to User Account Control (UAC) The MUO Security Checklist: What You Need To Do Right Now To Be Safe The MUO Security Checklist: What You Need To Do Right Now To Be Safe Security can be an overwhelming subject – there are so many potential problems we need to think about when securing our computers, our online accounts, and our wireless networks. This list should help simplify things... Read More , you’re probably using a limited user account. Most of the time, you won’t have to worry about this. Whenever you install a program you’ll see a UAC pop-up and can grant permission. Modern software installers will automatically ask for permission, while Windows will attempt to automatically run old software installers with the administrator privileges they require. However, every so often, a program will fail to install — perhaps the installer will say that it can’t write to a certain folder. In these cases, you’ll need to manually run the installer as administrator. To do so, close the installer, right-click the installer file, and select Run as administrator. Agree to the prompt and the installer will run with administrator privileges, allowing it to write to system folders and install normally. Most Windows computers now have 64-bit hardware and 64-bit versions of Windows. However, some Windows computers still have a 32-bit version of Windows. If you have a 64-bit version of Windows, you can install 32-bit software because it’s backwards compatible. However, if you have a 32-bit version of Windows, you can’t install 64-bit software. If you download a 64-bit software installer for a 32-bit version of Windows, you’ll see an error and the installer won’t run. Microsoft offers a Fix IT troubleshooting tool Is the Microsoft Fix It Service Really Any Good? [MakeUseOf Tests] Is the Microsoft Fix It Service Really Any Good? [MakeUseOf Tests] Have computer problems? Microsoft's Fix It service attempts to fix them for you. 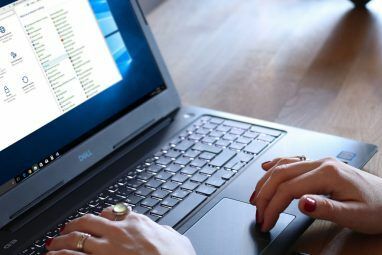 If you've browsed Microsoft's help pages, you've probably seen a variety of "Fix It" programs you can run to quickly fix a... Read More that you can run when programs won’t install or uninstall. The Fix It fixes problems with corrupt registry keys. If software is failing to install on your system, you should give this tool a try — there’s no harm in doing so and it’s quick to run. To use it, just visit the Fix problems that programs cannot be installed or uninstalled page on Microsoft’s website, click Run now, and run the tool. It will repair these problems automatically and hopefully fix your issue. In some cases, you may not be able to install a new version of a program over an old version of a program. To install the new version, you may first need to completely remove the old version and its related components. This normally isn’t necessary, but problems with programs can prevent easy upgrades. To do this, you’ll want to visit the Control Panel and uninstall the program. However, this may not always be good enough. You may need to look up instructions specific to that program to completely remove it. For example, Apple offers instructions for completely removing iTunes and related software. For antivirus programs, you may need to download a removal utility from the antivirus company’s website instead of simply using the uninstaller in the Windows Control Panel. 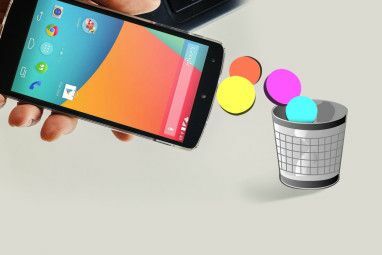 A third-party uninstaller 3 Best Third-Party Uninstallers & Why You Need Them 3 Best Third-Party Uninstallers & Why You Need Them To uninstall a Windows program, you can’t just hit 'Delete’ -- you need to run the software’s uninstaller. 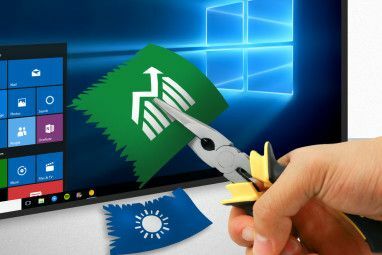 Unfortunately, the 'Uninstall a program’ option in the Windows Control Panel does not always completely remove it... Read More may also be able to help here, removing all the junk left over from the old program. You normally shouldn’t need third-party uninstallers unless you encounter a problem. Uninstalling programs from the Control Panel is the simplest option if everything is working normally. A program may sometimes fail to install because it’s been corrupted or is malicious. If you have your antivirus program in silent mode, you may not see any antivirus warning pop-ups. The program may just fail to install over and over as the antivirus blocks it from installing. To check for this, disable silent mode in your antivirus and check its virus detection logs. You may also consider scanning the installer file with VirusTotal, a website that allows you to upload a file and have it checked by many antivirus programs. 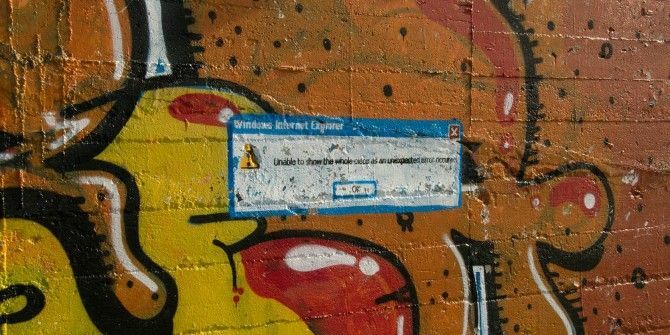 Some programs just aren’t compatible with current versions of Windows and won’t install properly. Even if they do install, they may not run properly afterwards. For more information on why a program may not be compatible and how to run it anyway, check our our guide to running old games and software on Windows 8 How to Run Old Games & Software in Windows 8 How to Run Old Games & Software in Windows 8 One of Microsoft's big strengths -- and weaknesses -- is their focus on backwards compatibility. Most Windows applications will work just fine on Windows 8. This is especially true if they worked on Windows 7,... Read More . Much of the information also applies to Windows 7. Follow the instructions above and you should be able to nail down your problem. When in doubt, you may want to re-download the program’s installer — if the file was corrupted during the download process, it may fail to install properly. Do you have any other tips for fixing problems when software won’t install on Windows? Leave a comment and share any tricks you know! I had a problem trying to install the Robert-Collins French-English dictionary from CD-ROM on Windows 10. Although the program runs happily from the CD-ROM itself, it didn't want to have to lug DVD reader around with me. I could install it in Windows7 & 8 on other PCs, but not in Windows 10 on my laptop. Why? The CD-ROM was protected by DRM software, and the Anniversary Edition of Windows 10 knocked it out, which leaves the installer hanging. The solution? I created a folder on my SSD, copied the contents of the CD-ROM into it, found the executable in the folder that ran when you launched the program on the CD-ROM, created a shortcut to it & pasted it into the taskbar. Click on that, and the program runs just as if it had been on the CD-ROM. Right click on the program, go to its properties, then under general right at the bottom, there should be a security crosscheck, simply unblock this. problem solved! THANK YOU! Instantly solved not being able to open setup applications on Vista (nothing would pop up at all). Man, you just saved me from a long frustrating experience. Thank you!!! Thank you soo much! Instantly solved what I've spent hours trying to do.